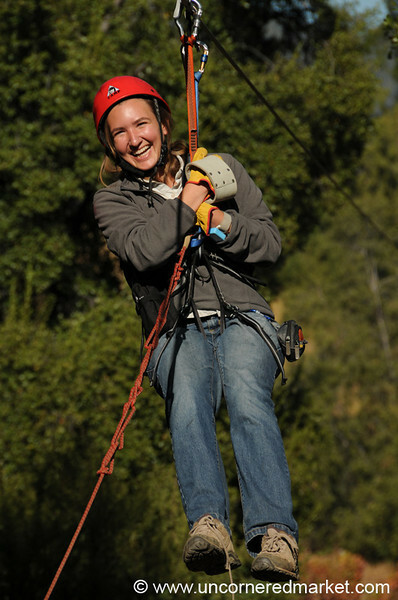 Wine tasting and touring in Maipo Alto, Chile including a visit to a biodynamic winery and a zipline wine adventure. A visit to La Montaña winery for "adventure wine touring" - zip lining, wine tasting and an amazing steak lunch followed by a visit to Antiyal winery, a biodynamic winery with a small production of excellent wines. Read more about traveling in Chile. All the plowing is done by horse at Antiyal biodynamic winery. The chickens usually follow behind so that they can eat the bugs that get turned up by the plow. Taken in the Upper Maipo Valley (Maipo Alto) outside of Santiago, Chile. 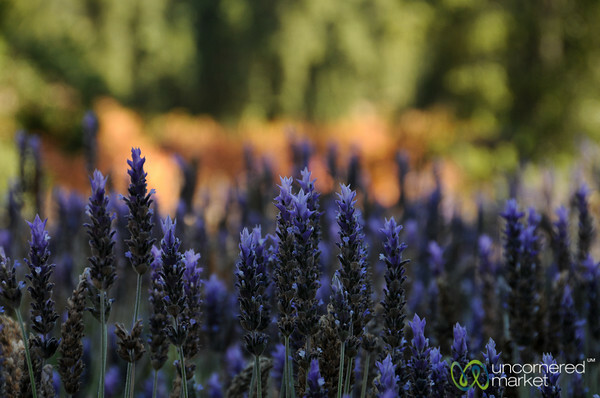 A lovely field of lavendar grows on the grounds of La Montaña winery in Maipo Alto outside of Santiago, Chile. 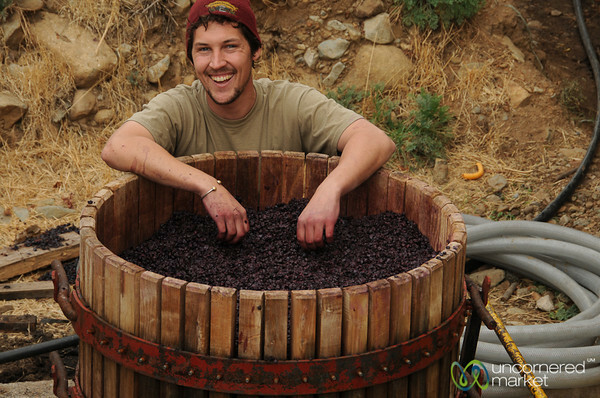 A wine apprentice form Sonoma Valley, California helps out in the grape harvest and crush at Antiyal Winery in Alto Maipo outside of Santiago, Chile. 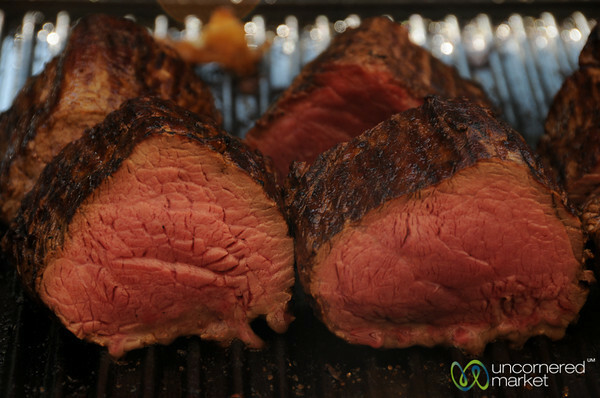 Our visit to La Montaña winery ends with a barbecue with some of the most tender and tasty steak straight from the grill. Taken in the Upper Maipo Valley outside of Santiago, Chile. Enjoying some wine tasting at La Montaña winery after completing the zip line portion of the tour. Taken at Maipo Alto outside of Santiago, Chile. 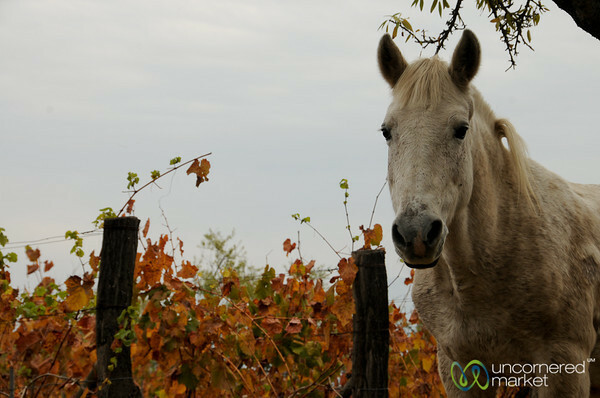 One of the horses that make up the biodynamic operations at Antiyal Winery in Upper Maipo Valley outside of Santiago, Chile. 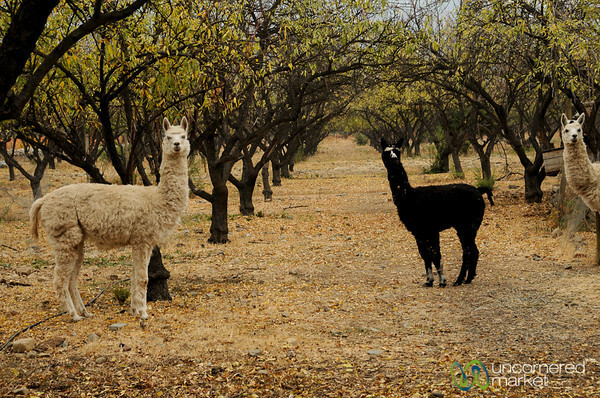 Llamas are used for eating weeds and compost at Antiyal biodynamic winery in Upper Maipo valley outside of Santiago, Chile. One of the components of biodynamic practice are preparations such as this to help inject nutrients into the compost and soil. 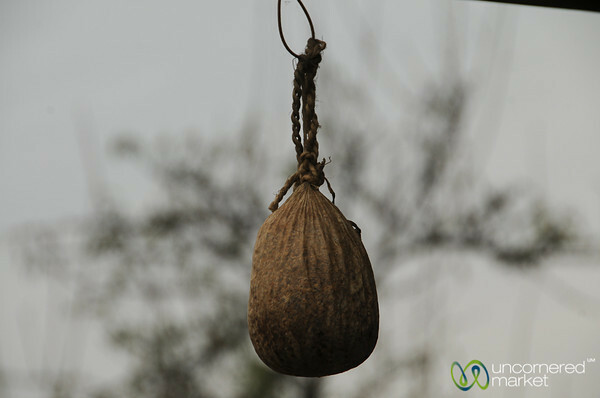 This one is made from herbs hanging in a deer's bladder. 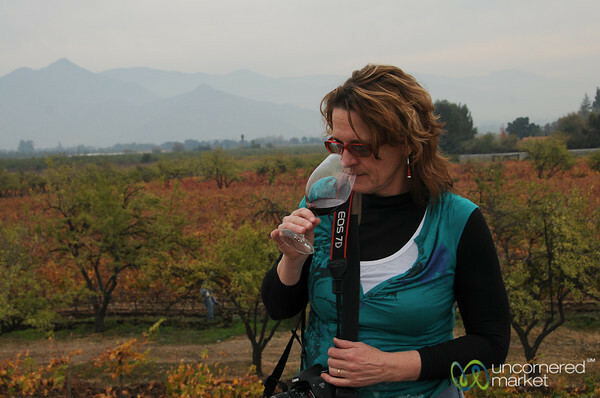 Taken at Antiyal biodynamic winery in Upper Maipo outside Santiago, Chile. 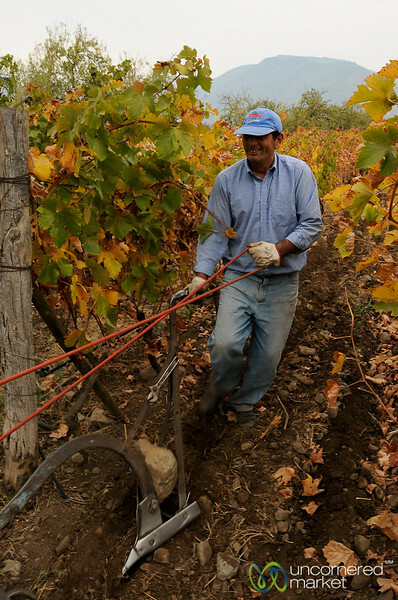 A helping hand during the grape harvest at Antiyal biodynamic winery in Maipo Alto outside of Santiago, Chile. 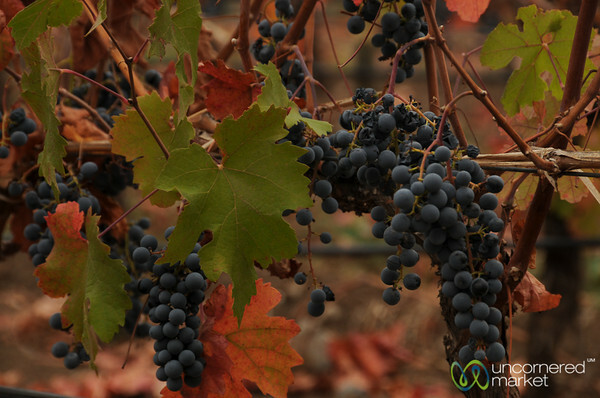 A few grapes remain on the vine late in the season at Antiyal biodynamic winery in Maipo Alto outside of Santiago, Chile. 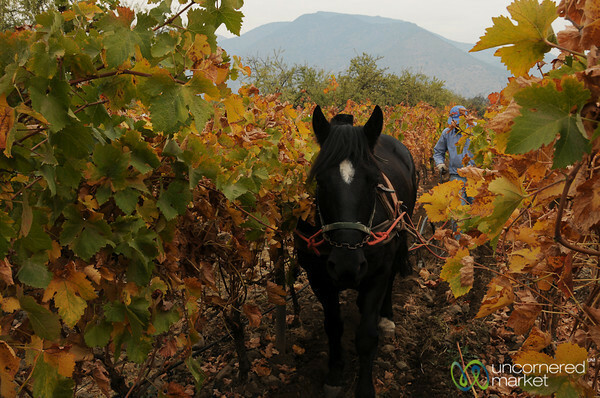 A horse-pulled plow goes through the vines at Antiyal biodynamic winery in Maipo Alto outside of Santiago, Chile. 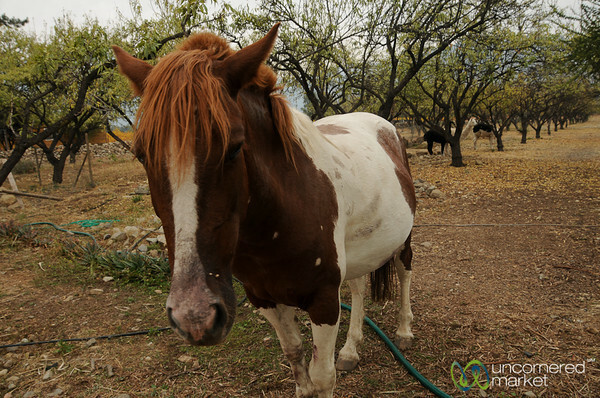 Chickens follow behind the horse and plow and eat the bugs that are dug up in the dirt. This is part of the biodynamic process. Taken at Antiyal Winery in Upper Maipo Valley outside of Santiago, Chile. 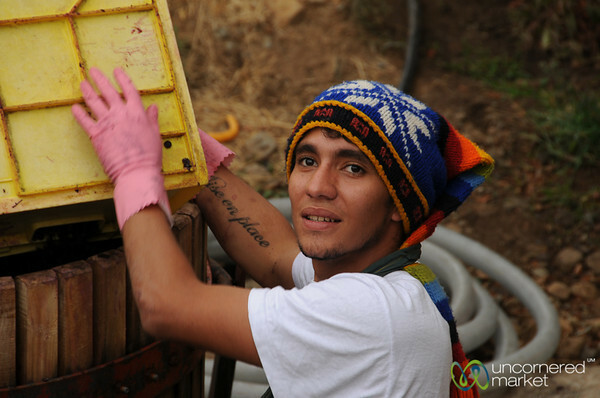 Everyone lends a helping hand - or feet - at the grape harvest and crush at Antiyal winery in Upper Maipo valley outside of Santigo, Chile. 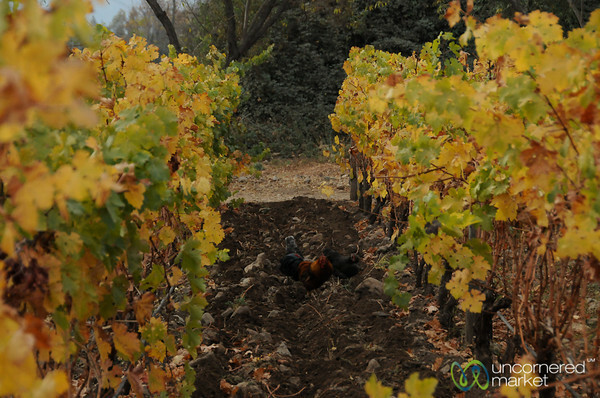 Animals play an important role at biodynamic wineries - plowing fields, eating weeds and providing material for compost. Taken at Antiyal winery in Maipo Alto, Chile. 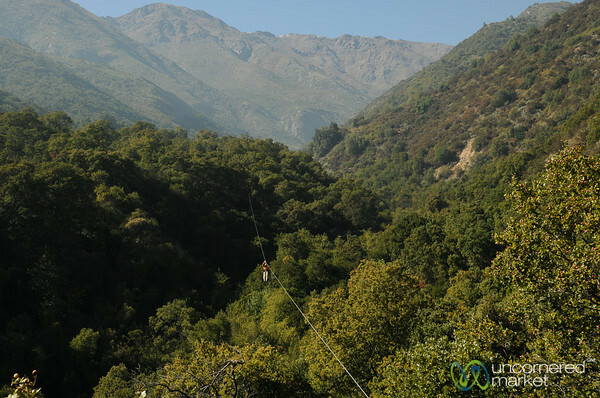 Beautiful landscape as the backdrop for our zip lining experience in Maipo Alto at La Montaña winery. 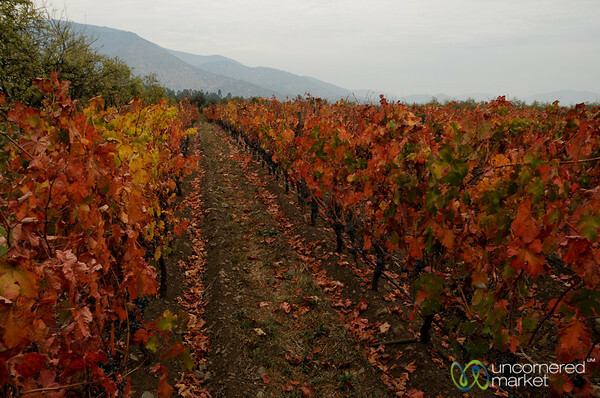 Leaves on the vines change to shades of orange and red at Antiyal biodynamic winery in Upper Maipo Valley outside of Santiago, Chile. 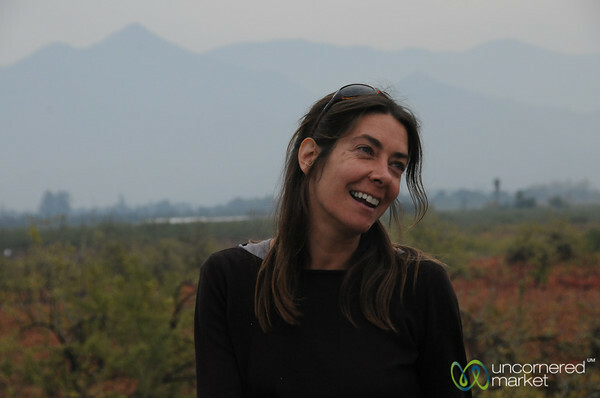 Marina Espinoza is one of the owners of Antiyal Winery, a biodynamic winery in the Upper Maipo Valley (Maipo Alto) outside of Santiago, Chile. 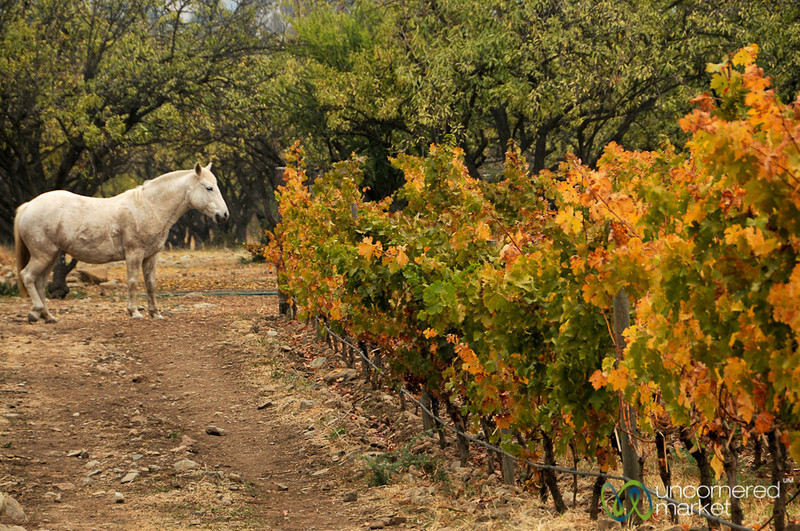 An autumn shot from Antiyal vineyards in Maipo Alto, Chile just outside Santiago. 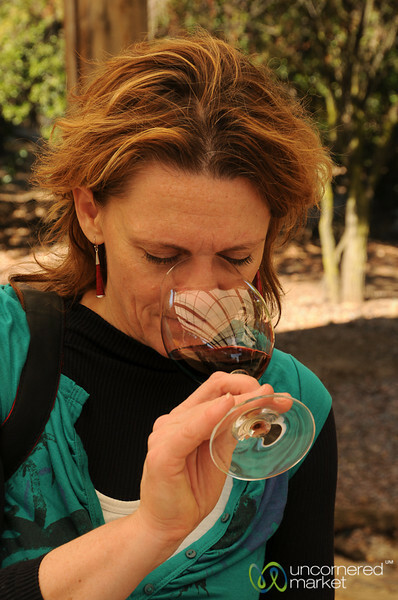 Margaret takes in the aromas of a red wine at Antiyal winery in Upper Maipo Valley (Maipo Alto) outside of Santiago, Chile.